Whether you are trying to sell your LOFT or are hoping to buy, the latest report from Fannie Mae’s Economic & Strategic Research Group shares a positive outlook. The Group report indicates a marked increase in consumer spending since 2010 and a “modest re-acceleration” is predicted for the rest of 2013 due to a stronger labor market and improving financial and housing market conditions. 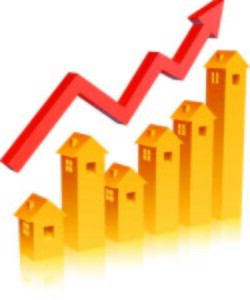 Growth of 2.2% in housing and market conditions for 2013 is further anticipated, which is good news for your LOFT. According to Fannie Mae Chief Economist Doug Duncan, a sustainable pace is continuing in the housing market, and should “act as a tailwind for the economy throughout the year and into 2014.” The Economic & Strategic Research Group cited continued increased LOFT demand as a possible significant contributor to growth in 2014. As the housing market shifts, does it change how you feel about your LOFT status currently? Do these statistics spur you towards selling your LOFT? As a buyer, does this information cause you to feel that now is the best time to buy your LOFT? If so, there are lots of options to consider as you buy and sell. If you have questions, please feel free to contact me. If you want to see the May housing forecast, please click here.